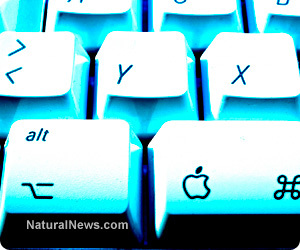 (NaturalNews) Despite being one of the top electronics corporations in the world, Apple, Inc. has been paying no corporate income taxes to any country overseas in which Apple does business, even though it has earned tens of billions of dollars. The finding, unearthed by U.S. Senate investigators, comes as the debate over whether the U.S. tax code needs overhauled heats up, The Wall Street Journal reported May 20. Investigators from the Senate's Permanent Subcommittee on Investigations, who performed a lengthy examination of Apple's tax practices, revealed all of their findings at a hearing May 21. The tech giant's chief executive, Tim Cook, prepared testimony for the hearing, in which he proposed "changes to a tax code that provides American companies strong incentives to keep overseas earnings bottled up at foreign subsidiaries," the Journal reported. Apple used technicalities in Irish and American tax law to pay little or no corporate taxes on at least $74 billion over the past four years, according to the Senate panel's findings. The investigation found no evidence that Apple did anything illegal. Aides to the subcommittee said they have never seen a company use a subsidiary that didn't owe corporate income taxes to any country. The global tech corporation did not dispute that it set up entities which in turn paid no corporate taxes. But Apple officials nonetheless denied such entities were specifically set up to avoid paying taxes. They added that Apple pays local taxes on all overseas earnings, as well as U.S. taxes on all investment income at its subsidiaries in Ireland. Also, company execs pointed to an "extraordinary" amount of corporate income taxes it does pay - $6 billion in 2012 alone, the Journal reported - and that Apple's effective federal cash tax rate last year was 30.5 percent - not far below the statutory rate of 35 percent, which is one of the highest corporate tax rates in the developed world. But even those explanations did not satisfy some lawmakers. "What they often leave out is the second part of the story, that Apple is one of the largest tax avoiders," Sen. John McCain (R., Ariz.) told the paper. He went onto say that Apple is the "most egregious offender" among U.S. corporations who are trying to avoid higher tax bills. By comparison, General Electric had a 14.4 percent "consolidated effective income-tax rate and paid $3.2 billion in cash income taxes globally last year," the paper said. Previously, the subcommittee has singled out Hewlett Packard, another tech company, for establishing chains of short-term loans designed to make use of the company's foreign subsidiaries' cash at home for the purposes of avoiding taxes. And the panel has called out Microsoft, another tech giant, "for shifting intellectual property - and the income that follows - to subsidiaries in Singapore, Ireland and Puerto Rico," said the paper. All the companies - Apple, HP and Microsoft - have said their actions are legal and comply fully with existing tax laws. The panel's most recent report centers on units that Apple has established in Cork, Ireland - long the company's base of operations for Europe, the Middle East, Africa, India, Asia and the Pacific. Those units are out of reach of the IRS, which considers corporations American only if they are incorporated within the United States. Under Irish tax law, however, only companies that are managed and controlled in the small European nation are considered residents of that country; Apple's entities there are actually managed from the U.S. As a result, Apple pays little or no taxes to neither the U.S. nor Ireland on much of its revenue that has been earned outside U.S. borders. "Despite reporting net income of $30 billion over the four-year period 2009 to 2012, Apple Operations International paid no corporate income taxes to any national government during that period," the panel's report said. Apple execs told the Senate panel they didn't think the overseas subsidiary, Apple Operations International, "qualifies as a tax resident of any other country under the applicable local laws." And while technically that may be true, clearly the company is taking advantage of tax-law loopholes to avoid paying. Because of such skirting of tax liability, a number of countries have begun examining their tax laws in order to ensure they are paid taxes they believe they are due from companies operating on their soil. That only seems fair. But by taking advantage of myriad breaks and loopholes that other countries generally do not offer, United States corporations pay only slightly more on average than their counterparts in other industrial countries. And some American corporations use aggressive strategies to pay less - often far less - than their competitors abroad and at home. The answer? A flat tax or fair tax, and an elimination of the loopholes Congress creates in order to win over certain political constituencies. Anything that would defund and power-down the IRS would be a good thing.